To get that perfect texture and taste, use only small-grained rice for this preparation. Unlike Pulao, the rice in Bisibele Bhath needs to completely blend in with the lentils. Avoid using vegetables like brinjal, bhindi, or radish as they do not complement the basic flavour of the dish. Potatoes are a no-no too as they tend to absorb all the flavours, leaving the rest of the dish bland. For larger quantities, the lentil-to-rice ratio should be 1.5:1 and the rice-to-water ratio 1:4. Karnataka’s most versatile dish, Bisibele Bhath, emerged 300 years ago from the royal kitchens of the Amba Vilasa Palace of the Mysore Wodeyars. Back then, it was a vegetable-free, rice-dal delicacy invented by a chef keen on gaining the Maharaja’s attention. He tweaked the humble rice-dal combination by adding a dash of spices—dry-roasted and powdered dalchini, laung, and kali mirch—and finishing off with a rich sprinkling of ghee-fried cashew nuts. Today, it has become Karnataka's best-known one-pot meal, sometimes referred to as ‘B-cubed’ or ‘BBB’. 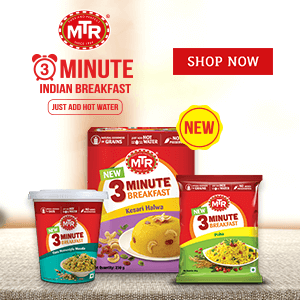 A nutritious all-in-one dish, its recent popularity can be attributed to Bengaluru-based MTR Foods Ltd., which began producing a ready-to-microwave version and a spice mix some years ago. The company currently sells 60 tonnes of Bisibele Bhath spice mix annually. Soak the imli in warm water for a few minutes. Extract the juice and then keep aside. Heat water in a vessel and add the peas, carrot, beans. The water should be just enough to allow the vegetables to cook through. Set aside when done. Wash the rice and dal. Pour water in a vessel and add the rice and dal to it. Add a pinch of MTR Haldi/Turmeric Powder and give it a good stir. Bring it to a boil and cook it till the rice and dal are done well enough. The rice needs to be slightly overcooked and not fluffy and loose like steamed rice. Add the MTR Bisibele Bhath Masala and stir till it has mixed well. You’ll see the mixture turn to a pleasant orange. Add the boiled vegetables. Then add in the imli extract as required. Finally add some salt to taste. Cook for 5 minutes. For the tadka, heat the desi ghee in a heavy-bottomed pan. Put in the rai, kadipatta, hing, and kaju. Add the thinly cut onions and sauté till it starts giving off a pleasant aroma and turns light brown in hue. Add the tadka to the cooked rice and dal and mix well. Take the vessel off the flame. For a lovely aftertaste, add a teaspoon of ghee to the ‘BBB’ just before serving. Serve with onion raita and pappadam.